The UMW’s purpose is to know God and to experience freedom as whole persons through Jesus Christ; to develop a creative, supportive fellowship; and to expand concepts of mission through participation in the global ministries of the church. Membership shall be open to any woman who indicates her desire to belong and to participate in the global mission of the church through the UMW. The UMW volunteer at the Kids Food Basket to help pack lunches every other month. Please contact Nancy Duiven if you would like to go!! Check out the Kids Food Basket page to learn more ! 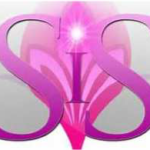 Women In Step was initially formed in March 2006 as a fellowship/support group for widows in our congregation. With our church family supporting us, we decided to welcome all women of all ages in the congregation to join us. We decided to help our church combining fun with purpose. We meet the last Wednesday of each month at a local restaurant for a business meeting. We are disciples of Christ and Serve, Strengthen and Connect to spread God's word with insight and friendship. What we do to SERVE: Cleaning, the staff offices, conference area, and church library monthly. Spring cleaning the church, Assisting the UMW (United Methodist Women) with kitchen organization and cleaning. Assisting with Sunday School teachers with supplies. Using our skills/abilities to help where needed. What we do to STRENGTHEN: Meet monthly to check on our progress and coverage for our event activities. Plan fellowship activities. Conduct fundraising to support our church family and community. Spring and Christmas flower sales. Participate in as many activities that we can and are able to. 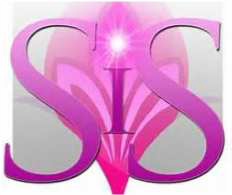 SIS (Sisters in Spirit) is a quiet, social group of women who like to gather in fellowship to support each other in life. This group is open to all who would like to join us. For more information contact Karen Bradley at kmb2018@yahoo.com. Check the church calendar for meeting times.